FAF, reason: the leader quit, and the clan died. Because some people recommended me to apply. I can be better in some aspects in the PB2 game. Nothing abnormal, but my skills wasn't bad. Yes, but I haven't the 7k Kills, so, no. Nice application, i have a lot of questions for you, but first at all, if u get denied, next time Use Zaglis #1/#2. 9. Is there another reason to join us? 10.Can you explain with details what do you mean with that? 21. Since u dont meet all requirements, youre joining as Trial member? @Zeid wrote: Nice application, i have a lot of questions for you, but first at all, if u get denied, next time Use Zaglis #1/#2. For 10: You said you have creativity. Explain how that creativity can help benefit the clan. @Euphoric Budweiser wrote: For 10: You said you have creativity. Explain how that creativity can help benefit the clan. 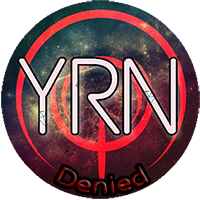 Any further reason to apply in YRN?If someone told u to apply in BoZ or GeNo would u leave us and join there? Nice app otherwise, good luck! Failed to answer all questions.